Flight Ten is your second cross country flight. You make use of the planning skills learned in Flight Eight and practice the en-route procedures introduced in Flight Nine as well as learning new skills related to radio navigation. As a private pilot you are expected to know how to use the all the radio navigation equipment in your airplane and be able to establish your position, track a course, or fly directly to a particular navigation aid and recognize when you pass directly over a navigation facility. You also need to know how to identify navigation facilities and how to recognize when a signal is lost. As the most commonly used navigation system for private pilots and the equipment most often found in primary trainers we’ll concentrate on VOR navigation. The planning and preflight for Flight Ten requires that you complete all the planning tasks mentioned in Flight Eight. However when planning your route you may want to consider using victor airways. These are the highways of the sky and are routes defined by courses between VORs. These are depicted on sectional charts by pale blue lines. 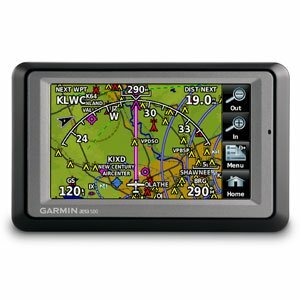 The first step when learning a new navigation system is to familiarize your-self with the equipment on board the airplane. This is best done on the ground without the distraction of having to fly the airplane at the same time. During your preflight identify the antennae associated with the radio navigation systems you intend to use and send some time familiarizing yourself with the VOR receiver. VOR receiver antennae are typically V shaped and positioned towards the top of the vertical stabilizer. The VOR receivers are manufactured in a variety of configurations but most include the following features which you should identify on the unit installed in your airplane. · On / off switch often integrated with volume control. · Frequency identification / voice selector. The VOR receiver will be connected to some kind of course deviation indicator. In most trainers this will be a basic VOR indicator but if you are lucky you may get to fly an airplane with a Horizontal Situation Indicator(HSI) which is the preferred instrument for IFR navigation in more sophisticated airplanes. The basic VOR indicator includes a course selector (OBS), a course deviation indicator (CDI) and some kind ofTO/FROM/OFF (lost signal indicator) flag. It may also include a glide slope indicator if the unit has ILS capability. To learn how to use the VOR receiver on the ground turn on the master switch and if your airplane has one the avionics power switch. Turn on the VOR receiver and select the frequency of a nearby VOR transmitter. If you are lucky and you are within line of site ofa VOR transmitter you will be able to pick up a signal on the ground and practice some techniques before you take off. The first thing to do when using a VOR is to identify the signal of the station you are receiving. To do this select the identification feature and turn up the volume. You will also need to select the VOR receiver in use on your audio panel and select either headphones or speaker to listen to the identifier. If you are picking up a signal you should be able to hear the Morse code identifier. Take a look at a chart that features the VOR you have selected and you will see a visual depiction of the Morse code associated with that station. The dots and dashes depicted on the chart should match what you hear and will represent the identifier of the station in Morse code. Hearing the correct Morse code establishes you have selected the correct station. To verify the signal is adequate for navigation you must also see a consistent “TO” or”FROM” indication. Once you have positively identified the station you do not have to continue to monitor the Morse code as long as you stay on the same frequency as an absence of a “TO” or “FROM” indication which is often replaced by a red warning flag will indicate loss of signal. Assuming you can identify the station and have either a TO orFROM indication you are ready to use the VOR for navigation. There are three main tasks associated with VOR’s for private pilots to learn. · Home to a station. These are all useful techniques to enhance your cross country navigation and you will be expected to demonstrate these skills as part of the private pilot practical test. If you can obtain a signal on the ground you can practice some of these before you fly. If not you’ll need to wait until you are en-route to get started. The following techniques can be practiced during the en route phase of your cross country flight in addition to the routine tasks described in Flight Nine. As always your primary responsibility is to fly the airplane. Don’t let increasingly complex tasks within the cockpit distract you from the basics of flying and looking for traffic. The old standard for prioritizing your workload in order of importance is Aviate, Navigate, Communicate. The first step to identify your position is to tune in a known VOR and identify the station by listening to the Morse code identifier. If you have trouble picking up a signal from a VOR it could be that you are simply too far from the station or that you do not have an unobstructed line of sight between you and the transmitter. You can try climbing to a higher altitude to try to improve reception. Having identified the signal slowly rotate the course selector until the course deviation indicator (CDI) centers with a FROM indication. When the course deviation indicator is centered with a FROM indication the course index will show radial the airplane is on. When you look at your chart you will see that most VOR s are surrounded by a compass rose. Each VOR has 360 radials extending out from the station which are depicted by the compass rose. When you center the CDI with a FROM indication the course index points at the radial over which the airplane is located. This simply indicates that you are positioned on a particular radial, it does not provide any information about the direction in which the airplane is pointed. If you have two VOR receivers and can pick up a signal from another station you can also center the second CDI with a FROM and by plotting the radial indicated by each CDI on a chart you can establish your position. Or if you only have one VOR receiver hold your position over a reference point on the ground and having marked your chart with the radial you are on with respect to one VOR tune in another VOR while holding and identify the radial you are on with respect to the second VOR station. Plot this second radial on your chart and where the radials intersect is your position. A good rule of thumb to remember is that when you center a CDI and get a FROM indication you are on the radial indicated by the course index. Tracking a course using a VOR receiver means positioning the airplane over a VOR radial and flying either towards or away from the VOR along the radial. Think of VOR radials like highways radiating out from a city. Centering the CDI with a FROM indication will tell you which highway you are on but it will not tell you which direction you are traveling. Like a highway associated with a city you can travel on a radial either towards or away from the VOR. Regardless of which direction you travel on a highway it still has the same name. Likewise the name of a radial is the same regardless of whether you are traveling inbound or outbound. The conventional way to use a VOR indicator is to navigate using FROM indications when flying away from a station and to use TO indication when flying towards a station. When a CDI indicator is centered with a TO indication the reciprocal of the course index indicates the radial you are on. So if you wanted to fly towards a VOR on a particular radial you would select the radial at the bottom of the CDI at the reciprocal course index and the course necessary to fly inbound on that radial would be indicated on the top of the CDI at the course index. When a CDI is centered with a FROM indication the course index at the top of the CDI shows the course to be flown outbound and also indicates the radial you are on. When a CDI is centered with a TO indication the course index at the top of the CDI indicates the inbound course and the reciprocal index at the bottom indicates the radial you are on. If you plan a flight via victor airways your route will be defined by VOR radials. 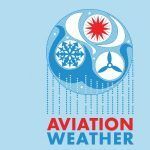 To intercept and track a particular radial decide if the VOR from which the radial originates will be behind or in front of you as you fly along the radial. If the VOR will be behind you are going to be tracking outbound and will navigate with a FROM indication on the VOR indicator. If the VOR is ahead of you as you fly along the radial you will tracking inbound and will be navigating with a TO indication. Select the course you intend fly in the course index at the top of the CDI. When tracking outbound the radial and the course are the same. Assuming you are on the correct side of the VOR this should result in a FROM indication. If you are on the radial the CDI will be centered. If you are on the correct side of the station but not actually on the radial the CDI will be deflected to one side. To get on course select an intercept heading on the side of the VOR indicator on which the CDI is deflected. Because the VOR does not take into account the direction in which the airplane is pointed it is important to select an intercept heading on the VOR indicator on the side which the CDI is deflected and turn to that intercept heading. The turn should be the shortest necessary to get to the intercept heading which could be left or right. Just because the CDI is deflected to the right does not necessarily mean it’s necessary to turn right to intercept. It simply means you select your intercept heading on the right side of the VOR indicator. How big an intercept angle you use depends on factors such as how far you are from the station and how rapidly you need to get on the radial. In general for en route navigation 30 degree intercepts are common. Having selected your intercept angle turn the airplane to the intercept heading referencing the directional gyro or compass. As you get closer to the radial the CDI will move towards the center. Just before the CDI is completely centered turn the airplane to the on course heading in order to roll out on course with the CDI centered with a FROM indication assuming you are flying outbound. The bigger the intercept angle the more you will need to lead the turn. In order to keep the CDI centered you may need to adjust your heading for wind drift and using a Wind Correction Angle to maintain your course along the radial. So if the CDI deviates fly a few degrees in the direction of the deviation to re-center the CDI and then maintain some Wind Correction Angle in that direction to keep the CDI centered. When tracking a radial inbound the course flown will be the reciprocal of the radial. Select the radial to be tracked inbound on the reciprocal index at the bottom of the VOR indicator. The inbound course will then appear on the course index at the top of the VOR indicator. Remember when tracking inbound the course flown is the reciprocal of the radial. Assuming you are on the correct side of the VOR this should result in a TO indication. If you are on the radial the CDI will be centered. If you are on the correct side of the station but not actually on the radial the CDI will be deflected to one side. To get on course select an intercept heading on the side of the VOR indicator on which the CDI is deflected. Because the VOR does not take into account the direction in which the airplane is pointed it is important to select an intercept heading on the VOR indicator on the side which the CDI is deflected and turn to that intercept heading. The turn should be the shortest necessary to get to the intercept heading which could be left or right. Just because the CDI is deflected to the right does not necessarily mean it’s necessary to turn right to intercept. It simply means your select your intercept heading on the right side of the VOR indicator. How big an intercept angle you use depends on factors such as how far you are from the station and how rapidly you need to get on the radial. In general 30 degree intercepts are common. Having selected your intercept angle turn the airplane to the intercept heading referencing the directional gyro or compass. As you get closer to the radial the CDI will move towards the center. Just before the CDI is completely centered turn the airplane to the on course heading and you should be able to roll out on course with the CDI centered with a TO indication assuming you are flying outbound. In order to keep the CDI centered you may need to adjust your heading for wind drift and using a Wind Correction Angle to maintain your course along the radial. So if the CDI deviates fly a few degrees in the direction of the deviation to re-center the CDI and then maintain some Wind Correction Angle in that direction. When the airport you are heading for has a VOR on the field you can easily get there by homing to the station you can also technique to proceed direct to VOR that defines part of your route that may or may not be located at an airport. The first step, as with all VOR navigation techniques, is to tune in and identify the VOR you want to use. Once identified simply rotate the course selector (OBS) until the CDI centers with a TO indication. The course indicated under the course index with the CDI centered with a TO is the course that will take you direct to the station. If you want to know which radial you are on simply reference the reciprocal index at the bottom of the VOR indicator. The rule of thumb to remember is that when centered with a TO a VOR indicator displays the course that will take you to the station at the top and the radial you are on at the bottom. With the CDI centered with a TO indication simply turn the airplane to the course indicated on the VOR course index to fly to the station. If after turning the airplane the CDI is no longer centered you may center it again using the course selector (OBS) and turning the airplane again so the heading of the airplane agrees with the new course indicated. However if the CDI needle subsequently deviates from being centered you should adjust your heading to fly a Wind Correction Angle that centers the CDI rather than repeatedly centering the CDI with the course selector. If you continue to fly a heading which keeps the CDI centered with a TO indication you will eventually fly over the station. You will know when you get there by observing a complete reversal of theTO / FROM indicator on station passage. Just prior to reversal you may also observe momentary deviation of the CDI and a brief display of the no signal or OFF flag. Having developed the skills necessary to perform basic navigational tasks with reference to VOR’s your next cross country in Flight Elevenintroduces night flight.